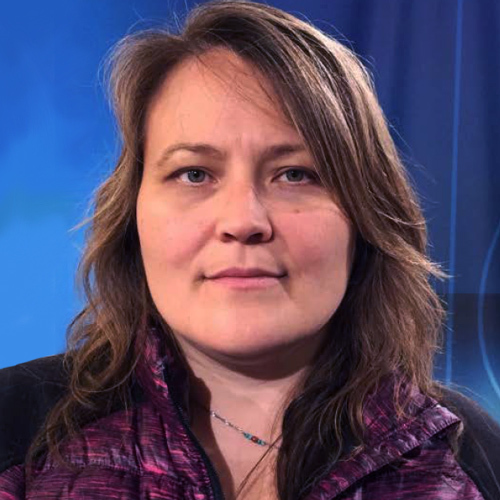 Ms. Niego was appointed Deputy Minister of Family Services in December 2017, coming to the position with more than 25 years of experience in Nunavut’s justice system. Ms. Niego was the first female Inuk from Nunavut to become a full regular member of the Royal Canadian Mounted Police (RCMP), and the first female Inuk from Nunavut to be promoted to Corporal, and then Sergeant. Her extensive experience within the RCMP led to roles with the Community and Aboriginal Policing Directorate in Ottawa and, as a non-commissioned officer, providing oversight on community policing initiatives across Nunavut. Over the course of her career, Ms. Niego has held several positions with various levels of government, including Assistant Deputy Minister of the Department of Justice, where she led work towards Nunavut’s Crime Prevention Strategy and supported community justice initiatives and efforts to end family violence. Ms. Niego has been involved with a variety of community and territorial organizations, with areas of focus in community policing, drug prevention, firearms safety, family violence, suicide prevention and children and youth wellness. Ms. Niego is a past president of the Embrace Life Council, a non-profit suicide prevention organization in Iqaluit, and was a member of the implementation committee for the Nunavut Suicide Prevention Strategy.